(TibetanReview.net, Jan14, 2018) – Calling the raising of awareness about Tibet pivotal to strengthening international support for the Tibet issue, the exile Tibetan Administration at Dharmashala, India, is to open a new Tibet Museum in a new building, currently under construction, at the Central Tibetan Administration (CTA) Secretariat. The plan was announced at a press conference by President Lobsang Sagay of the CTA on Jan 12. 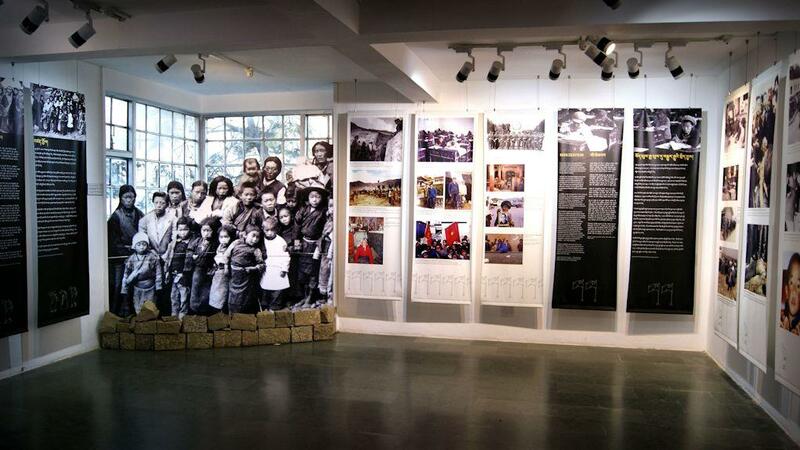 The CTA, under its Department of Information and International Relations, already runs a Tibet Museum near the Tsuglakhang, the main Buddhist Temple at Dharamshala. The new Tibet museum is reportedly being built to overcome the space limitations of the current location. The museum’s focus is on Tibet’s history, culture and the current situation in Tibet, and the resilience of Tibetans in exile and at home. “The Tibet Museum’s role of raising awareness about Tibet and presenting Tibet’s history play a critical part in the fifty year strategy,” President Sangay was quoted as saying, referring to his 5/50 vision, which calls for seeking to achieve genuine autonomy for Tibet through the Middle Way Approach in the next five years, and to sustain the struggle for the next 50 years should short-term that goal fail. “The new museum will also serve as a center of truth that will convey the tragic fate of Tibet and would let the visitors experience the destruction and the suffering that Tibetans went through under Chinese occupation,” President Sangay was quoted as saying. He has called on Tibetans to donate for the project whose cost has been put at Rs 60 million, which is nearly one million US dollars. The new building, the Tibet Building, is expected to be completed during July-August this year, and, with it, the development of the new Museum.